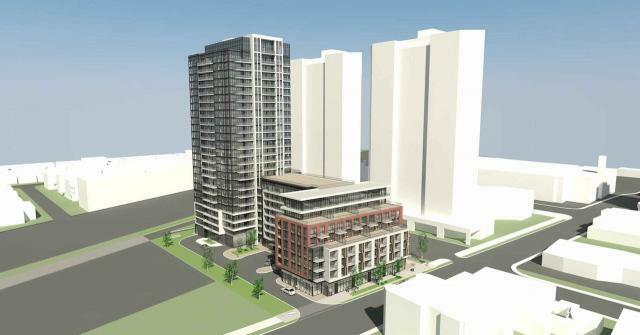 2376 Dundas Street West is a 24-storey residential rental development by Lormel Homes with retail at ground level. Design by Richmond Architects. Was going to be LNX Condos before being changed to rentals.